Home > unemployment > Can ‘Clean Energy Economy’ Create 'Millions of Jobs"? Can ‘Clean Energy Economy’ Create 'Millions of Jobs"? What does economic research say about the potential of government-led industrial policy to promote clean energy and create jobs? Looking at the American Recovery and Reinvestment Act (ARRA) of 2009, or what came to be known as the “stimulus package,” provides us some insights. What clearly emerges is that the expansion of renewable energy is an opportunity to create jobs in manufacturing and construction, as well as in other industries. I was a coauthor of the 2014 “Green Growth” study by the Political Economy Research Institute (PERI) at the University of Massachusetts Amherst. The Brookings Institution did its own study in 2011, “Sizing the Clean Energy Economy.” Both of these studies find that renewable energy and energy efficiency industries are engines of job growth, and that public support for these industries catalyzes private investments and spurs economic growth overall. Yet the academic research is often overlooked or pushed aside in the public discourse, as so-called “failures” such as Solyndra’s bankruptcy are held up as examples of failed clean energy policies. In fact, public policies for clean energy have largely been effective in stimulating the growth of this sector, as well as the creation of new jobs. The stimulus funded a number of utility-scale renewable energy projects, including the Shepherds Flat Wind Farm, one of the largest wind farms in the world. Let’s first look specifically at the Department of Energy’s (DOE) Loan Guarantee program which was funded as part of the stimulus and provided a loan to Solyndra to build a factory. On the whole, this program was hugely successful. It was responsible for advancing the renewable energy business by financing the world’s largest solar photovoltaic plant, supporting two of the world’s largest solar thermal projects, and financing the world’s largest wind farm as of 2012. What’s more, losses such as Solyndra accounted for only two percent of the entire portfolio of lending, a staggeringly small figure when compared to typical loss rates in venture capital, often on the order of 40 or 50 percent. And for the American taxpayer, the losses are actually nonexistent, because the interest earned on the successful loans made by the DOE now exceeds the losses from companies like Solyndra. By the end of 2014, the DOE had already received $810 million in interest, in comparison to the $780 million in losses. The sort of activity funded by the Loan Guarantee Program (which provides financing to automakers, electric utilities and other industries) creates jobs. And the clean energy industry is one of the fastest growing areas in the global economy. In March 2016, Bloomberg reported that jobs in the solar energy industry had grown 12 times faster than overall global job growth. The U.S., near the top of the pack behind China and Brazil, already has more than three-quarters of a million jobs in clean energy, defined as as jobs related to solar, wind, bioenergy and geothermal. But how about the claim that pro-renewable energy policies cause job losses in fossil fuels? Studies such as the PERI “Green Growth” report show that a transition from fossil fuels to clean energy does, in fact, create jobs. Lots of them. For example, for every $1 million spent on energy efficiency about 15 jobs are created. These include the “direct” jobs in manufacturing and installation, as well as the “indirect” jobs created through the supply chain, in industries such as engineering, accounting, trucking, and many others. Overall, renewable energy and energy efficiency, the report finds, creates about 13 jobs per $1 million of spending. The wind industry creates jobs both in maintenance as well as domestic manufacturing. Meanwhile, fossil fuels create fewer jobs for the same amount of spending, supporting about six jobs per $1 million for ongoing operations in the industry, or about 11 jobs for the creation of new fossil fuel production. There are a few reasons why clean energy creates more jobs than fossil fuels: labor intensity, domestic content and wages. Labor intensity means that more of the total spending goes toward hiring workers rather than for capital, such as buildings and equipment. The oil and gas industry is one of the most capital-intensive industries in the economy, producing fewer jobs for each $1 million of spending. Clean energy also has higher domestic content – including construction labor and manufactured components – than fossil fuels, meaning that more of the inputs come from within the U.S., and so that’s where more of the jobs are created. And finally, average wages are slightly lower in the clean energy industry than the fossil fuel industry, so a given $1 million of spending can support more jobs in clean energy. The PERI study finds that an investment on the order of 1.2 percent of U.S. GDP would create over four million jobs in clean energy, or close to three million net new jobs if we subtract the job losses in fossil fuels. And how does government spending on clean energy affect our energy system? The American Recovery and Reinvestment Act of 2009 (ARRA) was the largest public investment in clean energy in the history of the US. Of the approximately $800 billion package, $90 billion was targeted toward clean energy. smaller amounts to green job training, R&D, carbon capture and storage, and clean energy manufacturing, among others. The stimulus funding went toward energy infrastructure upgrades, including smart meters which are designed to speed up reading and restore power faster after outages. About half of the $90 billion was used for incentives or matching grants, increasing the impact of the stimulus. The CEA estimates that $46 billion in incentives leveraged an additional $150 billion in private and nonfederal spending. Thus, there was a combined amount of $240 billion in both public and private spending on clean energy innovation, development, and most notably deployment, or installation of, for instance, solar panels and smart electricity meters. In addition to the jobs created, these investments helped to improve the energy infrastructure and get large-scale wind and solar projects in the ground. Supporters of a free-market economy say the government should not be in the business of “picking winners,” that the market should determine which energy businesses thrive or fail. However, particularly with emerging technologies, the government can play an important role in fostering research and innovation. Companies that stand to lose a profit may not want to make a risky investment in a new technology. The government can diversify and lower its risk by investing in many different types of technologies at the same time. Some of these will fail, like Solyndra, but many others will succeed and ultimately will be produced and sold by private companies. There is one criticism of the ARRA that holds validity, which is that it tried to do too much in a short amount of time. Never in history had such a large public investment been made in clean energy, and there were processes and programs that took time to be established. Because of administrative bottlenecks, job growth was slower than it otherwise could have been. 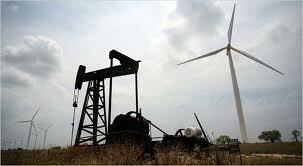 Fossil fuels are underpriced, as they do not include the cost of the environmental damage they produce. Increased reliance on clean energy increases our national security, as we rely less on imported fossil resources and reduce the need to protect them through war. . These investments lower greenhouse gas emissions and improve local air quality. Both public and private spending on clean energy are necessary to continue the rapid pace of growth in this sector. And we see from the evidence that public support for clean energy catalyzes private investment, together creating millions of jobs and opportunities for workers and businesses alike.